Late May, OpenArch organized a three-day conference on managing archaeological open-air museums. All 11 OpenArch members are EXARC members, and besides these them, we could also welcome several EXARC members for the conference and another dozen for the Crafts Festival which was part of the conference. The welcome speech, given by David Anderson, Director General, Amgueddfa Genedlaethol Cymru / President of the UK Museums Association discussed the new roles for open-air museums in the future: challenging! The conference then continued with several key note papers and a discussion on what archaeological open-air museums can pick up from the international museum world? Special thanks for this session go to Margriet Lestraden, Luc Eekhout and Martin Schmidt. In the afternoon we had some very good insights from UK archaeological open-air museums, issues and successes, but also for example from the Black Country Living Museum (David Eveleigh). International research on volunteers in archaeological open-air museums was summarised by Andy Spencer. The second day was spent at St Fagans National History Museum where in about 50 stalls craftspeople demonstrated their abilities – from flint knapping to saddle making, from making pottery to making rope. This was very much appreciated by the public. 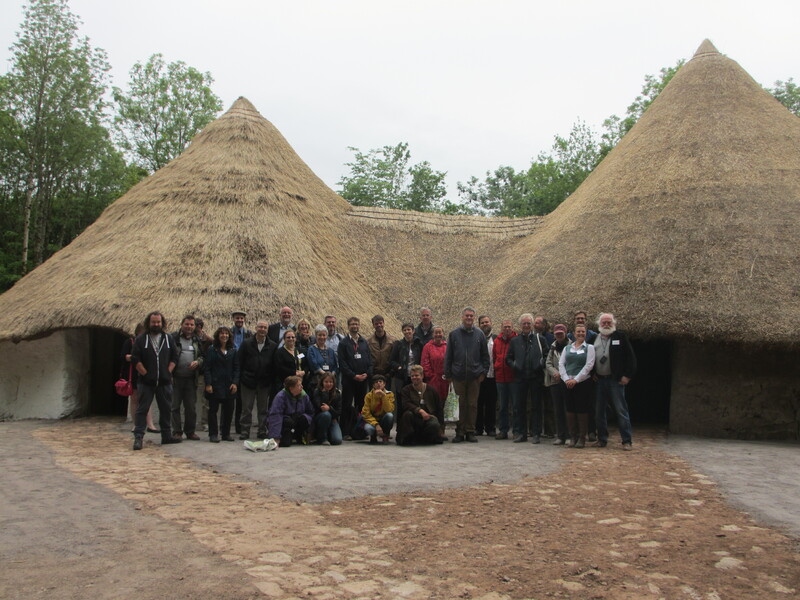 OpenArch delegates also visited the ongoing construction work at the site, not only the modern service buildings but also the new Iron Age site Bryn Eryr. On the last conference day, delegates visited Big Pit, the National Coal Museum – not just below surface, but also for a long tour through the manmade landscape around the mines. In the evening we ended the conference with a visit to Llancaiach Fawr Manor, a 16th-century manor house presented to the public through first person interpretation. This was also the site for the Urdd National Eisteddfod (25-30 May 2015), an annual Welsh-language youth festival of literature, music and performing arts.